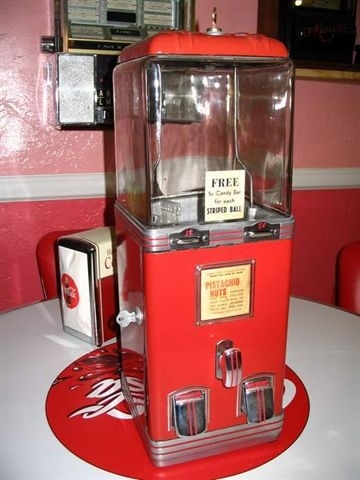 NW-36 Deluxe Nut Machine in Red Porcelain. Globe in Nice Shape. 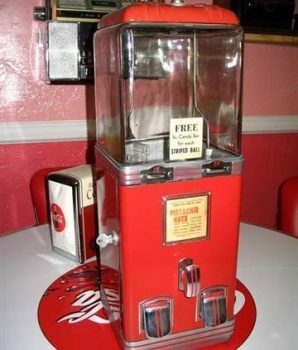 This is a fine Penny Nickel Machine in good working condition. Has Both Lock & Keys.